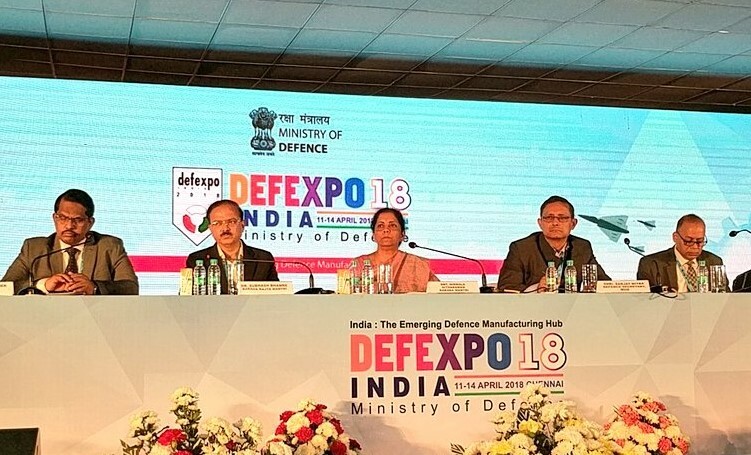 BrahMos pavilion at DefExpo 2018. THIRUVIDANTHAI, TAMIL NADU (BNS): The world’s most potent weapon system BRAHMOS is being showcased at Defexpo India 2018, the biennial Land, Naval and Internal Homeland Security Systems Exhibition, which began at Thiruvidanthai, Tamil Nadu on Wednesday. 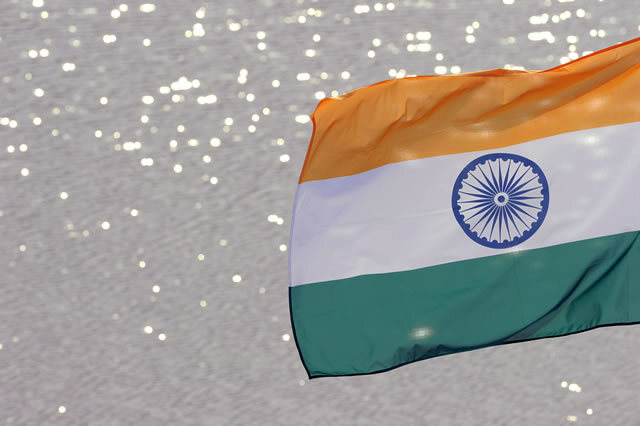 The remarkable journey of the Indian - Russian Joint Venture BrahMos and its achievements has today become a perfect role model to emulate 'Make in India' programme. The BRAHMOS is the world's fastest supersonic cruise missile. It is a precision strike weapon for Army, Navy as well as Air Force and can be fitted in Ships, Mobile Launchers, Submarines and Aircraft against land and sea targets. Dr S Christopher, Chairman DRDO and Secretary Department of Defence R&D, visited the BrahMos pavilion and was shown the missile systems on display by Dr. Sudhir Kumar Mishra, CEO & MD, BrahMos Aerospace, DS & DG (BrahMos). At Defexpo 2018, the India-Russia Joint Venture BrahMos Aerospace is displaying BRAHMOS in various configurations, encompassing the land, naval, underwater and aerial variants of the supersonic cruise missile system. The highlights during the exhibition are the BRAHMOS Coastal Defence System consisting of the land-attack variant of the 290-km range missile, BRAHMOS Land Mobile Complex and BRAHMOS Ship-based Weapon Complex consisting of the ship-to-land and ship-to- ship variant of the missile. Also on focus are the replica of BRAHMOS on Su-30MKI along with the BRAHMOS air-borne launcher and equipment manufactured by BATL for Defence and Space applications including systems and sub-systems manufactured by Indian industries associated with BrahMos, and BRAHMOS-NG. BRAHMOS supersonic cruise missile is capable of hitting sea based targets beyond radar horizons. 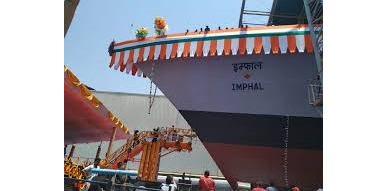 It can be launched in either inclined or vertical configuration based on the type of the ship. 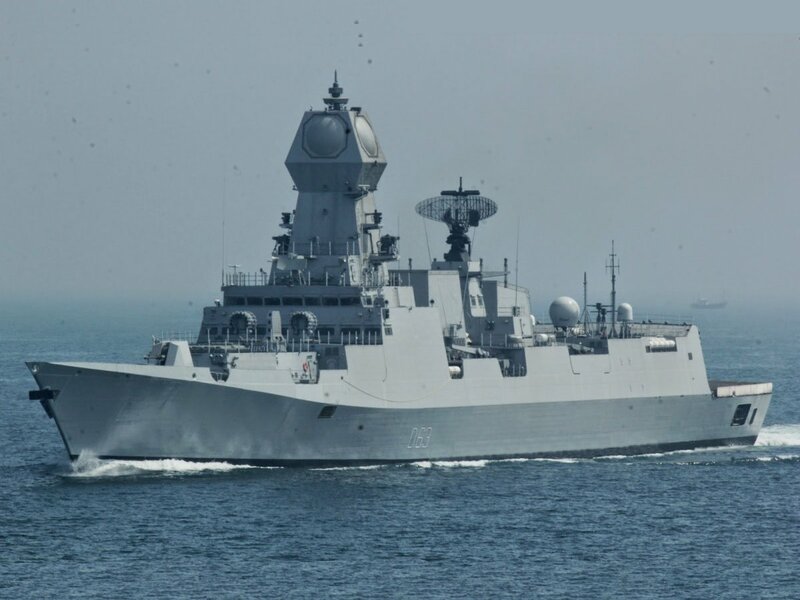 The vertical launch configuration of BRAHMOS enhances the stealth capabilities of the warships as the missiles are under the deck and not exposed. The Universal Vertical Launcher (UVLM) being used in these ships has a unique design, developed and patented by BrahMos Aerospace. The potential carriers are Destroyers, Frigates, Corvettes, Offshore patrol vessels and any other type of ships. 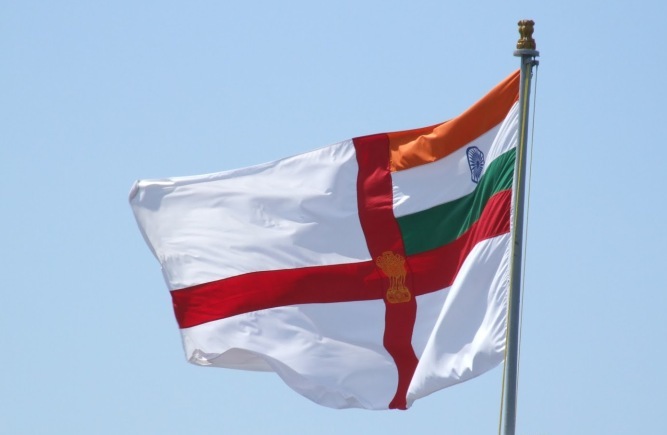 The Indian Navy has currently deployed the missile system on almost all the front line surface warships of the maritime force. The land-attack version of BRAHMOS model is fitted on the state-of-the-art Mobile Autonomous Launcher (MAL). The mobile land-based configuration of BRAHMOS has achieved several advancements over the years with each having its own distinct potentiality to hit and destroy enemy target. BRAHMOS air-launched version has been successfully flight-tested from the Su-30MKI fighter of the Indian Air Force. The air-launched BRAHMOS is smaller and lighter than its previous variants but equally lethal in firepower and devastating capability as its range and maximum speed of 290-km and 2.8 Mach respectively will remain unchanged. With this maiden launch, BRAHMOS has bolstered the IAF’s air combat capability and completed the tactical cruise missile triad.